UNC Lineberger Comprehensive Cancer Center is one of 49 National Cancer Institute-designated comprehensive cancer centers. 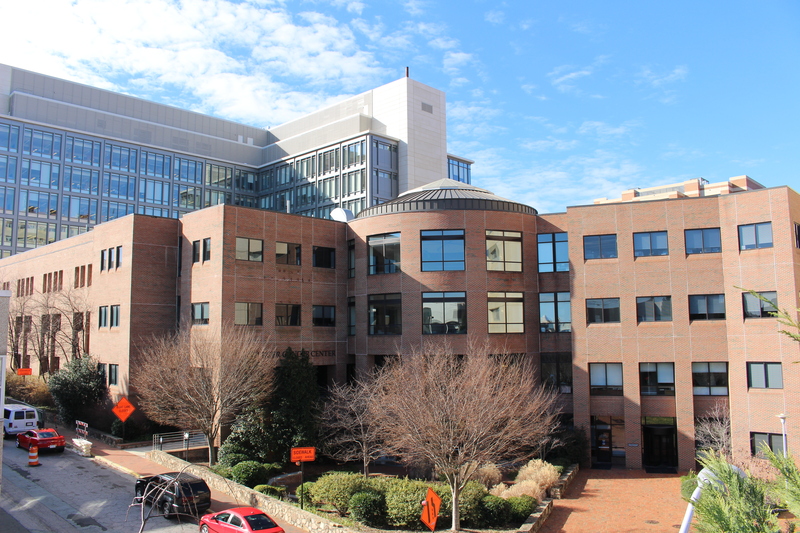 The UNC Lineberger Comprehensive Cancer Center has awarded $1.1 million in developmental research grants to 11 proposals that span the basic, clinical/translational, and population sciences. Awardees were chosen from a pool of more than 60 applicants who submitted proposals last fall. Funding is made possible by the University Cancer Research Fund, the National Cancer Institute core grant and other sources. “We had an extraordinarily high number of applications this round, many of which were quite strong and from a broad range disciplines across campus,” said Anne Menkens, PhD, UNC Lineberger’s assistant director for collaborative research. In a peer review process that drew on the expertise of more than 40 faculty members from across the university, UNC Lineberger selected four projects from the basic science research category, four clinical/translational projects, and three population science projects. Five of the proposals were chosen for Tier 2 Stimulus Awards for up to two years and $200,000, and six were one-year, Tier 1 Pilot Awards of up to $50,000. Two of the projects involve collaborations between faculty at North Carolina State University and UNC-Chapel Hill. The fall round of funding also included a request for applications that focused on N.C. State University and East Carolina University faculty. The selection of these awardees was delayed due to weather, but they will be announced soon. Proposals for the next round of these awards will be due March 15. Guidelines will be formally announced, and the link to register and upload new applications will be live on the UNC Lineberger website by March 1. In the interest of spurring innovation, preference will be given to applications that have not been submitted more than once before. Lee M. Graves, PhD, UNC Lineberger member and professor, Department of Pharmacology, and Matthew Lockett, PhD, assistant professor, Department of Chemistry. “Characterization of a Novel Class of Imipridone Molecules For Cancer Research.” Tier 2. Cary Moody, PhD, UNC Lineberger member and associate professor, Department of Microbiology and Immunology. “Replication Stress and Survival of HPV Infected Cells.” Tier 1. Laurianne Van Landeghem, PhD, assistant professor in Neurogastroenterology, Department of Molecular Biomedical Sciences of the College of Veterinary Medicine at N.C. State University, and Scott Magness, PhD, UNC Lineberger member and associate professor, Departments of Medicine, Cell Biology & Physiology at UNC-Chapel Hill, and the Joint Department of Biomedical Engineering. “Remodeling of the Enteric Glial Network in Colon Cancer.” Tier 2. David A. Zaharoff, PhD, associate professor, Joint Department of Biomedical Engineering, and Benjamin Vincent, MD, UNC Lineberger member and assistant professor, UNC School of Medicine. “Characterization of the Neoantigen-Specific T Cell Response Following Intravesical Chitosan/IL-12 Immunotherapy.” Tier 2. Yuchao Jiang, PhD, UNC Lineberger member and assistant professor, Department of Biostatistics. “Cross-Technology Inference of Tumor Heterogeneity.” Tier 1. Matthew R. Redinbo, PhD, UNC Lineberger member and Kenan Distinguished Professor, Department of Chemistry. “Does the Composition of the Gut Microbiota Affect Clinical Outcomes with Irinotecan?” Tier 1. Jenny P-Y Ting, PhD, UNC Lineberger member and William R. Kenan, Jr. Distinguished Professor, Department of Microbiology and Immunology, and Kristy Ainslie, PhD, associate professor, UNC Eshelman School of Pharmacy. “A Novel Microparticle Platform to Activate Innate Immunity as an Immunotherapeutic for Triple Negative Breast Cancer.” Tier 2. Kyle Wang, MD, resident, UNC School of Medicine Department of Radiation Oncology, and Lawrence B. Marks, MD, UNC Lineberger member and professor and chair, Department of Radiation Oncology. “Prospective Evaluation of Parotid Sparing Whole Brain Radiation and Patient Reported Xerostomia.” Tier 1. Jennifer L. Lund, PhD, UNC Lineberger member and assistant professor, Department of Epidemiology. “A Multi-Database Approach to Evaluating Targeted Therapy Utilization, Sequencing, and Adherence in Patients Diagnosed with Metastatic Renal Cell Carcinoma.” Tier 1. Sarah J. Nyante, MSPH, PhD, assistant professor, Department of Radiology. “Quantitative Imaging Data in a Community-Based Mammography Registry: A Feasibility Study.” Tier 2. Katherine Reeder-Hayes, MD, MBA, MSCR, UNC Lineberger member and assistant professor, Division of Hematology/Oncology. “Health System Impacts on Care and Survival of Solid Tumor Brain Metastases.” Tier 1.